heirloom variety. Whether or not, and which, positive traits the resulting composite plant possesses depends on the choice of rootstock. Grafted plants have allowed farmers to keep growing tomatoes in greenhouses and soils where the plants would have otherwise petered out from nutrient problems or buildup of disease. With decades of grafting fruit trees under my belt, I’d feel confident grafting tomatoes. There are a few differences, of course: tomatoes are grafted when small (with 2 to 4 leaves); they are succulent and in leaf so need to be kept in high humidity until the graft heals; and, best of all, you see results quickly, within a week or two. You start by sowing seed of the rootstock variety followed, a week later, by sowing the scion (eating) variety. Once rootstock and scion plants are large enough to graft, you lay their stems side by side and make an angled cut into both at the same time with a straight-edge razor. Set the bottom cut of the scion atop the top cut of the rootstock and then hold the stems aligned with a tomato grafting clip or piece of tape. After a week or so of warmth, high humidity, and indirect light, the graft should be healed and the composite plant ready to acclimate to brighter light, cooler temperatures, and lower humidity and — eventually — outdoor growing conditions. An easier but more expensive route would be to purchase grafted tomato plants. Sources such as http://territorialseed.com and http://www.johnnyseeds.com sell grafted plants as well as rootstock seeds and grafting clips. Do I want to grow grafted tomatoes? 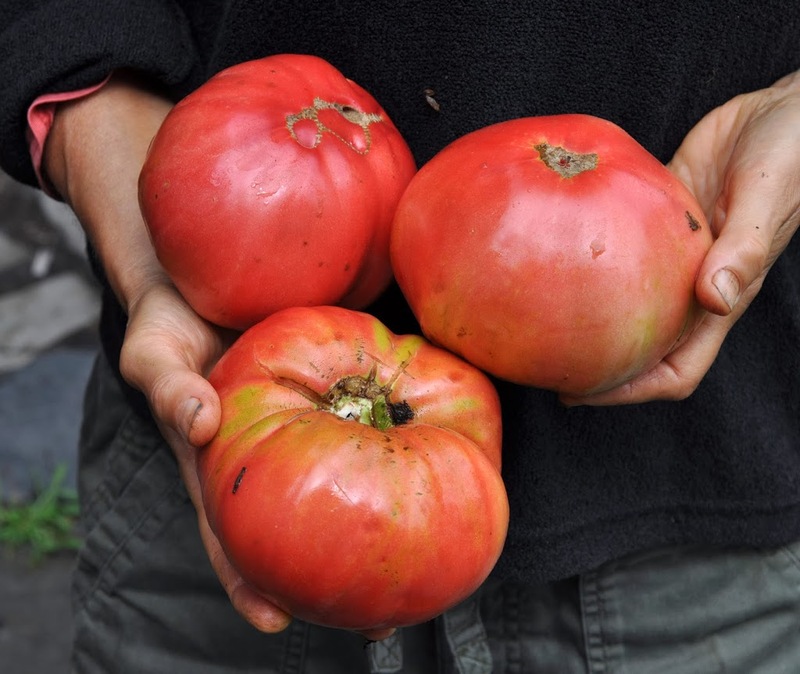 Yes, I’d give the plants a try — if grafted plants of an heirloom variety landed in my lap. Which is to say that I’m not ready to spend much money or effort on grafted tomatoes. One reason is vigor. Grafted tomatoes grow more vigorously, but my ungrafted, staked tomatoes always start to grow out of reach by the end of August. More vigor? No thanks. Also, there’s often an inverse relationship between vigor and fruitfulness. As far as diseases, I avoid planting tomatoes where they’ve grown for the past three years, clean up old stems, leaves, and fruit thoroughly at the end of the season, and mulch each year. In so doing, buildup of soil pests is avoided, overwintering inoculum at the beginning of each season is reduced, and spores of overlooked diseased tissue are buried. When asking me about grafted tomatoes, Sara probably had in mind late blight disease, which has devastated tomatoes in recent years. Grafted tomatoes offer direct protection only against soil-borne diseases, such as verticillium and fusarium wilt. Around here, at least, early blight, septoria leaf spot, anthracnose, and late blight are what strip plants of leaves and pockmark the fruits. Grafted plants would not be resistant to these diseases. Increased vigor might help a plant pump out extra fruits in spite of disease — or not. I’m not going to any special efforts to plant grafted tomatoes. Apples are another story, one for which I am turning to rootstocks and grafting. First, a little background: I have an especially poor site for growing apples. Cold or cool, moist air collects in this low spot, making plants prone to disease and frost, and the 6,000 acres of woods fifty feet away provide haven for insect pests. The site is also wetter than I realized. Still, when I do get to harvest apples, their delectable flavor makes them worth the effort. 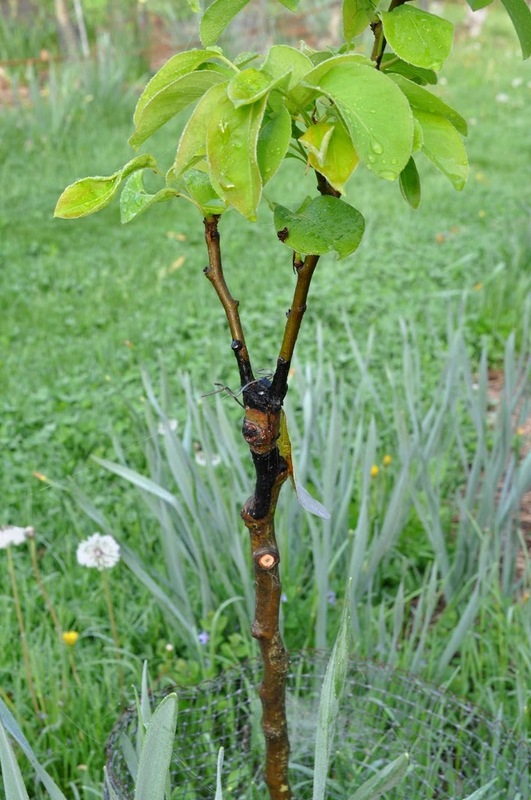 As with tomatoes, an apple rootstock can impart certain desirable characteristics to the resulting composite tree. My present planting is a row of superdwarf trees. These small trees, although early bearing and productive, need codling with perfect soil. My plan is to make new trees that are more tolerant of less-than-perfect soil conditions and, being taller, might hold their heads in slightly more buoyant air to reduce disease pressure. my research, a rootstock named G.30 seems the best option, creating a mostly self-supporting (except with certain varieties and heavy crop load when young), medium-sized tree tolerant to wet soil and fire blight disease. Best of all, it promotes of early bearing of the scion variety grafted on it. This entry was posted in Uncategorized and tagged disease, graft, tomato. Bookmark the permalink. Trackbacks are closed, but you can post a comment. We attended your fruit workshop 2 years ago. 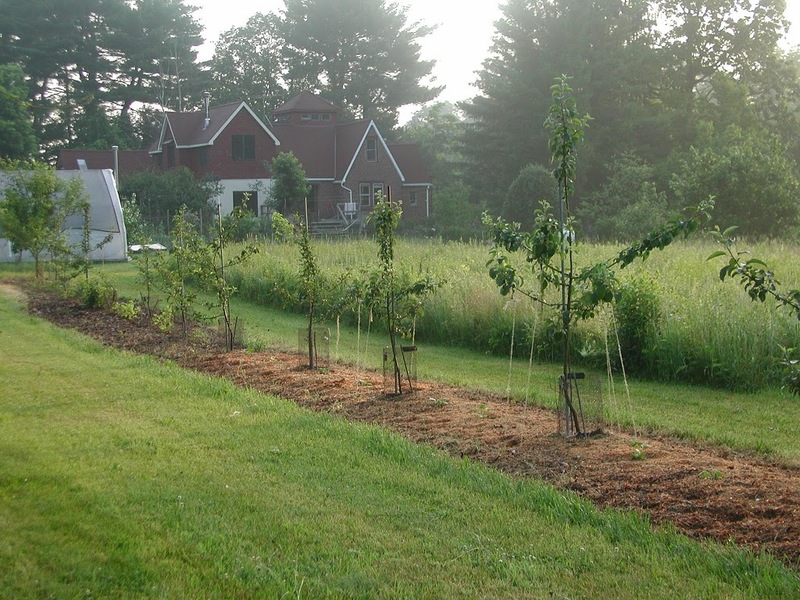 We finished building a new home last summer in the village of Ballston Spa just south of Saratoga Springs and plan on having a fruit and berry garden (we are on 0.6 acres). I want to plant Pawpaws this year. Our landscape plan by Barbara Restaino (she recommended your course) calls for 4 trees. Could recommend the best varieties and a source(s) for pawpaw plants for our 5A climate? As I may have said at the workshop, there’s a lot of variation in pawpaw fruit, even within a tree. Perhaps more that from variety to variety. For your area, I would choose a couple from the Pennsylvania Golden series (they’re numbered 1 to 4), for early ripening. Beyond that, choose other grafted varieties based on their descriptions. Raintree and One Green World nurseries (linked at the right) both have a selection of good trees of grafted varieties. Speaking of figs–I piled as many leaves as I could around my sizable Bensonhurst Purple fig this fall. Some branches were exposed, and I knew this could affect fruit production next year. But now someone is chewing the bark off the exposed branches. I fear I have created the perfect environment for mice, which are now chewing on my fig. Do you have any advice for next year? I think I have to prune the fig to a size I can cover completely. Yes, that mulch and branches are perfect for mice: food and cozy lodging. One thing that might help a little is to wait until colder weather to put the mulch around the plants. Fig branches can generally tolerate temperatures into the lower 20s. By then, rodents will, hopefully, have found other lodging. Cats — outdoor cats — also are a big help. Also, wire mesh guards around base of stems.